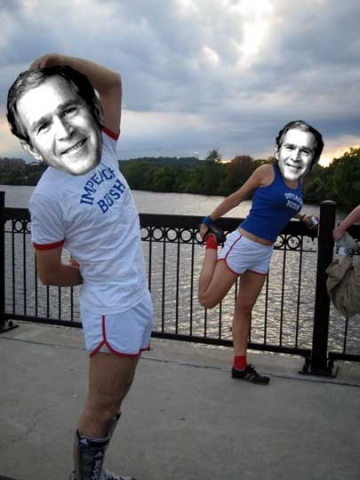 A mobile circus whose heyday was the NYC Marathon, 2006. 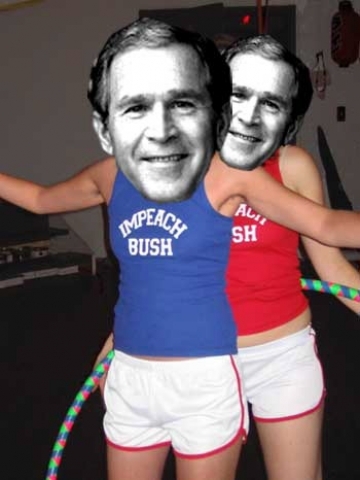 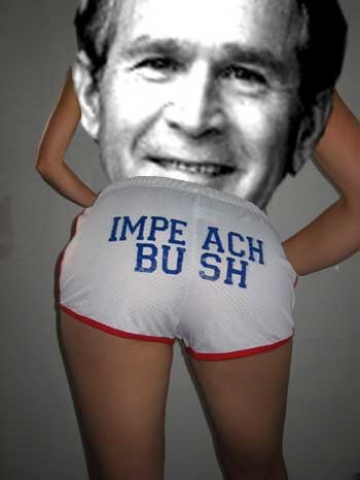 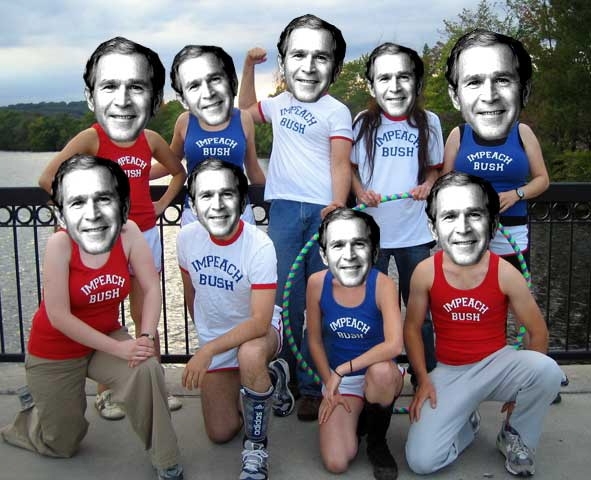 Impeach Bush outfits (unused ones) are still on sale for $10 per item while supplies last. 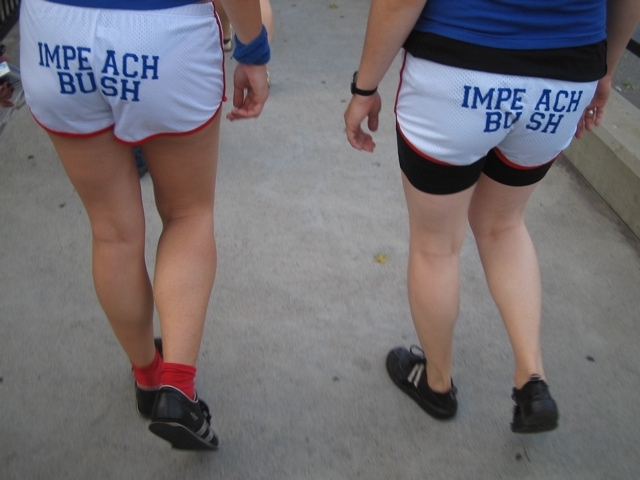 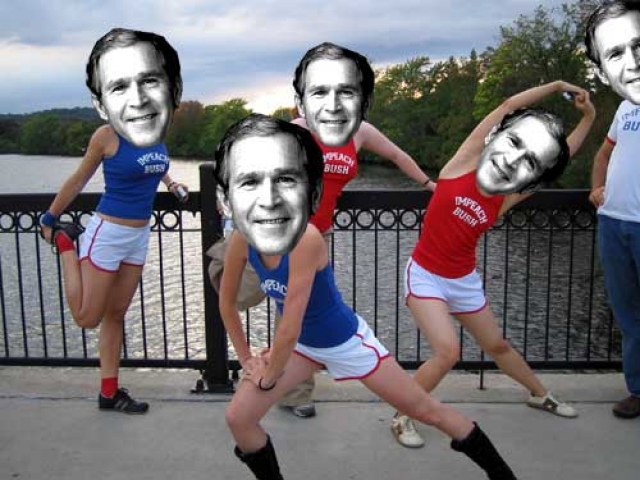 In November 2006, kanarinka ran the NYC Marathon in Impeach Bush garb. 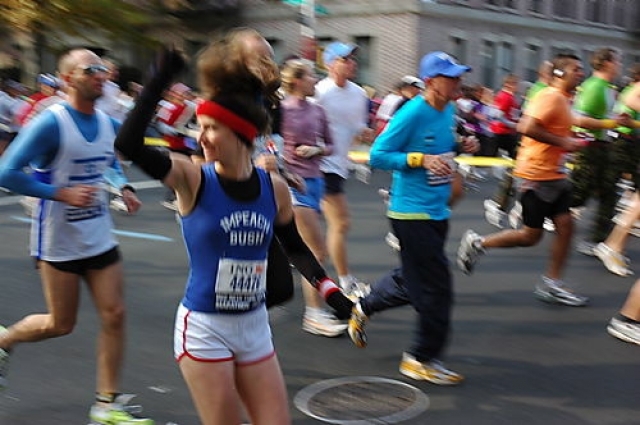 In marathon culture, bystanders yell out whatever is written on a runner’s chest in order to cheer them on. 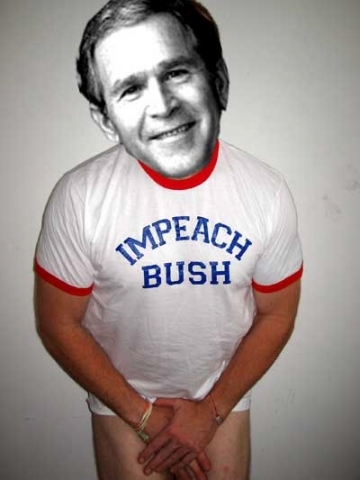 Over 1000 people yelled “Impeach Bush” on November 3rd, 2006. 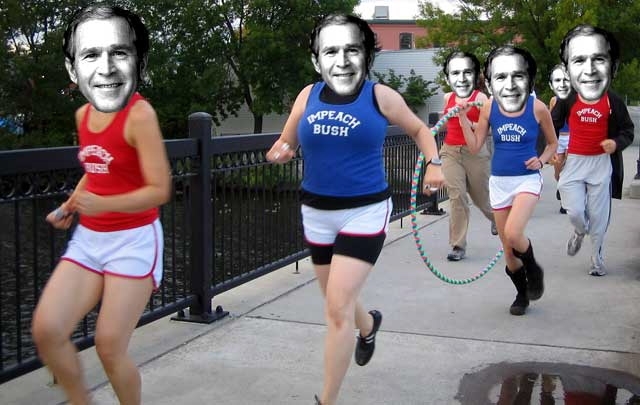 At mile 23 in Central Park, kanarinka was joined by the Impeach Bush jogging circus, including a mermaid, acrobat and hula-hooper who illegally jumped in the race.